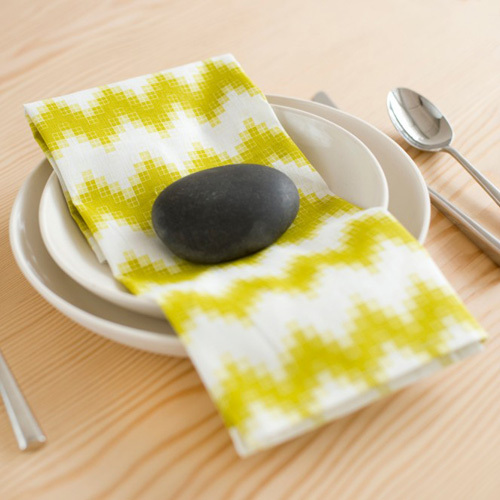 Today I’m loving … this dinnerware and Chevron Pixel napkin by PigeonToe Ceramics (found via Skinny laMinx). love it! the colors are also so fresh!